On the evening of Saturday February 6th, WagonWheel Presents… round three of our WagonWheel Weekend at The Greystones. We’ve a night of 100% Sheffield rock ‘n’ roll with Roaming Son plus support from Richard Kitson and William Barstow. Advance tickets priced at £6 for Saturday night’s show are available from http://www.wegottickets.com/f/9440 and the venue (12-6pm) or entry on the night will be £8. Weekend tickets are also available from http://www.wegottickets.com/wagonwheelpresents and include entry to all five shows across Friday, Saturday and Sunday. Doors open 8pm for a 8.15pm start. Roaming Son are a four piece band from Sheffield. They draw influences from the sounds of the earliest raucous rock ‘n’ roll bands of the 50’s, but adding a distinct sound that is refreshingly modern. They have honed their live show supporting bands such as Kat Men, Big Boy Bloater, Dan Baird & Homemade Sin, Warner E. Hodges, Jason & The Scorchers to name a few. Expect jungle drums, dirty twangy slapback guitars, greasy bass and vocals that range from heartfelt to lowdown and earthy. In 2013 the band released debut EP ‘History Of Violence’ and were named ‘Best Live Act’ at the Sheffield Scenester awards. In 2015 they released their latest EP ‘Blood On My Hands’. From a young age Sheffield born Richard Kitson immersed himself in the music that he loved; relentlessly emulating the sounds he heard on records from Bob Dylan to Big Bill Broonzy, Robert Johnson to Rory Gallagher. He first taught himself the harmonica and dabbled with drums before making guitar technique not merely a passion, but an artistic obsession. Moving on from a successful first album it was something of a revelation to discover the music of Bert Jansch, Davy Graham and John Martyn. Kitson adopted a new finger-picking style that not only unlocked a world of new potential in his personal playing; but also released a new depth of songwriting that has become a primary focus. Self taught by listening to the greats and with a deep sense of the tradition and craft of blues and folk, Richard is a musician’s musician – it all comes from the soul. From his first eponymous album release in 2003 Kitson’s sound has matured and developed along with a career supporting some of the biggest names in folk and blues around the UK. 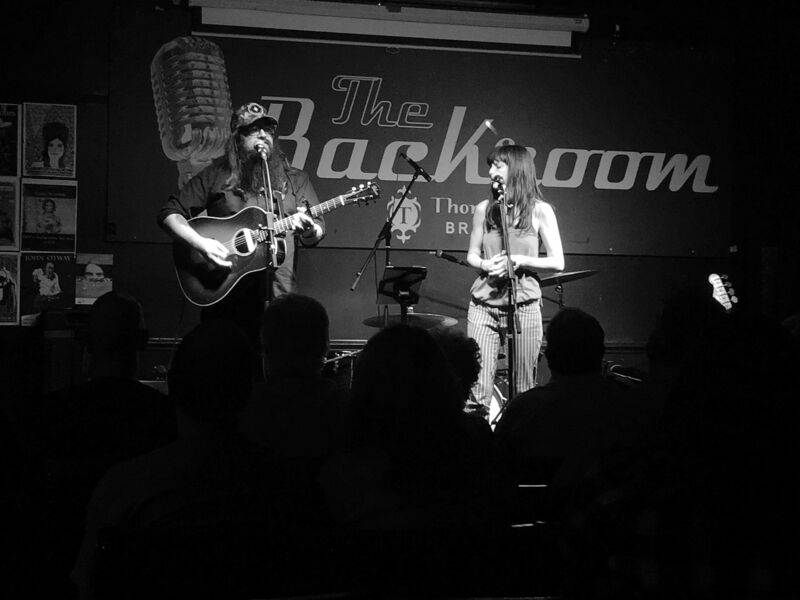 He has regularly supported well-respected artists from across the globe such as Michael Marra, Otis Gibbs, Boo Hewerdine, John Tamms, Wizz Jones and Peggy Seeger. Richard has gigged from London to Edinburgh; famous blues clubs to music cafes and while he’s shared bigger stages at city concert venues he often prefers the intimacy and opportunity to connect with the audience through carefully orchestrated performances at smaller venues. William Barstow has recorded and played live throughout the country with former bands The Dead Delta and The Ruby Jacks. Throughout this period he complied a selection of bluesy folk songs that didn’t fit into the framework of a hardened rock band but require a more intimate and spacious setting. His most recent release is The Hummingbird EP.